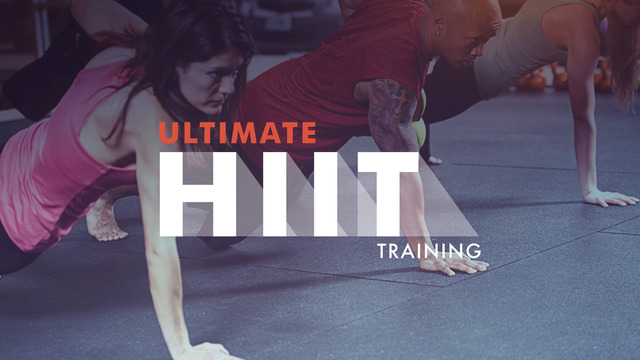 High Intensity Interval Training (HIIT) is a great way to burn fat and condition your body. These workouts incorporate bodyweight and dumbbell exercises with short rest periods. To get the best results from this program you should complete all of the exercises at maximum effort and recover during the rests! It's tough, but the challenge is worth it, so make sure you give it your all. This program delivers upper body attacks, lower body bursts and Tabata after Tabata. Get ready for ultimate workouts followed by ultimate reward!